Ever wonder if you are doing all the right things for your job search? 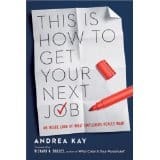 This Is How to Get Your Next Job: An Inside Look at What Employers Really Want by Andrea Kay will put your mind at rest – or highlight areas where you could do better. Kay provides several questionnaires and exercises to help you work out your strengths as a candidate. Essentially, it’s a test to see if you’d hire yourself for a job, and if the answer is no, to help you identify what to work on. The first thing on the list that is required to do the exercise is a nice cup of tea, which is a good way to start any self-assessment and tells you a lot about her writing style. avoid immature and defensive behaviour. What you tell an employer in your application or during an interview must align with how you present yourself and what you show them. It’s no use saying that you are a good communicator who knows what you want and then sending a letter with spelling errors asking what jobs they have open, as you ‘are flexible enough to take any role’. 97% of employers said that being late to an interview would be detrimental to getting the job. Don’t act clueless and unprepared: Kay tells the story of a lady who turned up and asked the interviewer what position she was interviewing for. Don’t be late: 97% of employers in the survey Kay quotes said that being late would be detrimental to getting the job. Don’t be humble: Kay quotes another study that shows self-promoters were more highly rated in interviews than those candidates who were humble about their achievements. The book ends with 15 things that you should never do once you have got a job, including not to assume someone will watch over your career. This is very pertinent advice. You’ve worked hard to get the job, so why stop? No one is responsible for your next promotion or career move except yourself so don’t expect it to be handed to you on a plate. Kay recommends that you dress for success for your interview. This won’t (I hope) be news to any of you. 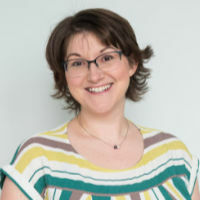 She quotes a number of recruiters who all said different things about the appropriateness of suits and ties for men – it really does depend on the company. As for women: “Most of the clothes that women wear in work situations portrayed on television programs are not acceptable,” she writes. “It’s television, not the real world.” She passes on the advice that you should call the recruiter and ask about the dress code if you are unsure, as different industries and individuals will have different expectations. She also has some advice on not acting old. By that, she means that you shouldn’t go into an interview already thinking that the job will go to someone younger. She advises that you shouldn’t show ‘technical hesitation’ where you convey a lack of familiarity with new technology. Equally, you should demonstrate a willingness to learn and be flexible, so don’t pepper your interview talk with stories of how you know everything – avoid coming across in a superior way. I didn’t think there was a need for this book as, after all, behaving professionally isn’t rocket science. However, with examples on practically every page in the early chapters of candidates making basic mistakes it is obvious that there are plenty of people who do need to look critically at their job application process and shape up. If you are struggling to find your next position it wouldn’t hurt to read this book and check that you are doing everything right. Why not give yourself the best possible chance of success?